Ruby on Rails is easy to learn, quick to build with and powerful enough to craft complex sites and apps. And whether it’s first your first time coding or you’re an experienced programmer, we’ve got a great training bundle to help you get to grips with Ruby on Rails, at a special low price here at TNW Deals. The Ruby On Rails Rookie To Rockstar Bundle includes 6 courses taught by experts at Udemy, with over 45 hours of in-depth tutorials that you can watch and learn from at your own pace – so you can build your own websites and apps with ease in no time. From the fundamentals of Ruby on Rails to frontend Web design basics to building real apps to deploying your project with Heroku, you can learn it all with this premium bundle. 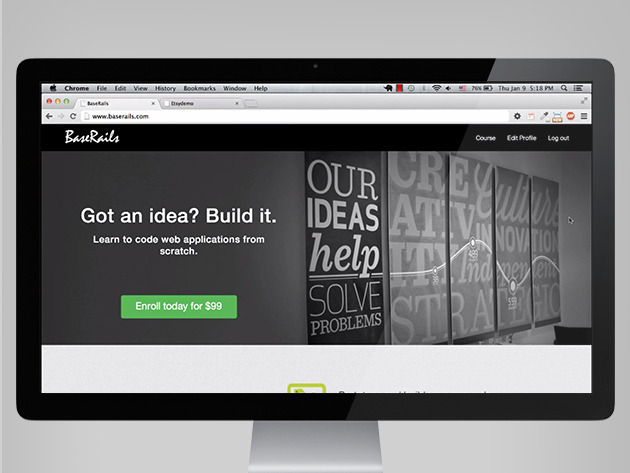 Get started with Ruby on Rails for just $49.